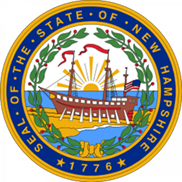 Launched in July 2012, the aim of the New Hampshire QI 101 program is to assist the New Hampshire Division of Public Health Services (DPHS) with creating a culture of continuous quality improvement while also increasing the capacity of the DPHS workforce to understand, select, and use QI methods and tools to improve the efficiency and effectiveness of programs and services. NH QI 101 is important because DPHS is a model for how to strengthen a state public health system by using a standardized approach to QI to enhance the health outcomes of its citizens. The project is providing QI training for 25 DPHS staff and 25 leaders via monthly webinars, coaching, technical assistance and face-to-face workshops. The upcoming workshops will take place on November 28th-30th and February 6th-7th.